It’s a cold, hard end of 2013 in southeastern Wisconsin, currently 1 degree F. I like it. It’s a bone chilling cold, the type so necessary in this part of the world to thoroughly route those pests that wait in the ground and cause havoc to farmers. The water of Holy Baptism may seem like plain water, but united with the double-edged sword of Christ’s Word it both kills and makes alive. Baptism unites us to the death and life of Jesus; thus, calling us to daily repentance, to follow Christ in the way of the cross. 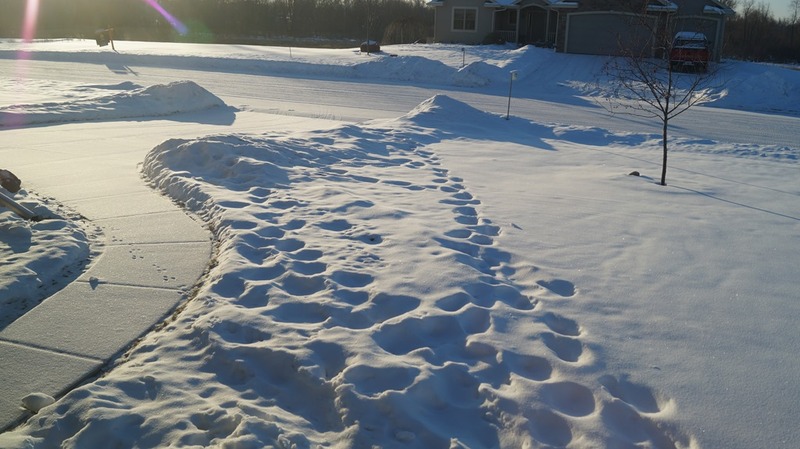 In southeastern Wisconsin, if we wish to have fertile ground in the spring it is best prepared with deathly cold. Likewise, if we hunger and thirst for a life rich in God’s grace it is necessary that our “old sinful nature” is killed by the Word of God’s Law. My life goals are simple, to be a faithful husband, father, and pastor. In so many subtle and not-so-subtle ways I tried to mess it up this last year on all three of these fronts, yet as I look back there was (and is!) so much good. My wife patiently, faithfully, and forgivingly bears the cross that I so often force upon her with my forgetfulness and self-centeredness; likewise, my children. Thank you, Lord, for my church family. This entry was posted in Christian Family and tagged St. Paul's Lutheran Church--Oconomowoc, Wisconsin. Bookmark the permalink.